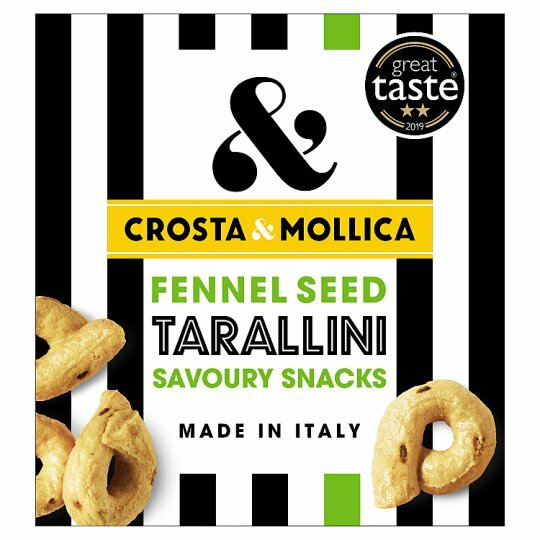 Tarallini are a classic snack from Puglia. Made with local extra virgin olive oil and local white wine, the rings of dough are first boiled and then baked till crisps. Delicious with a glass of wine. Store sealed in a dry, cool place., Best Before: See stamp.